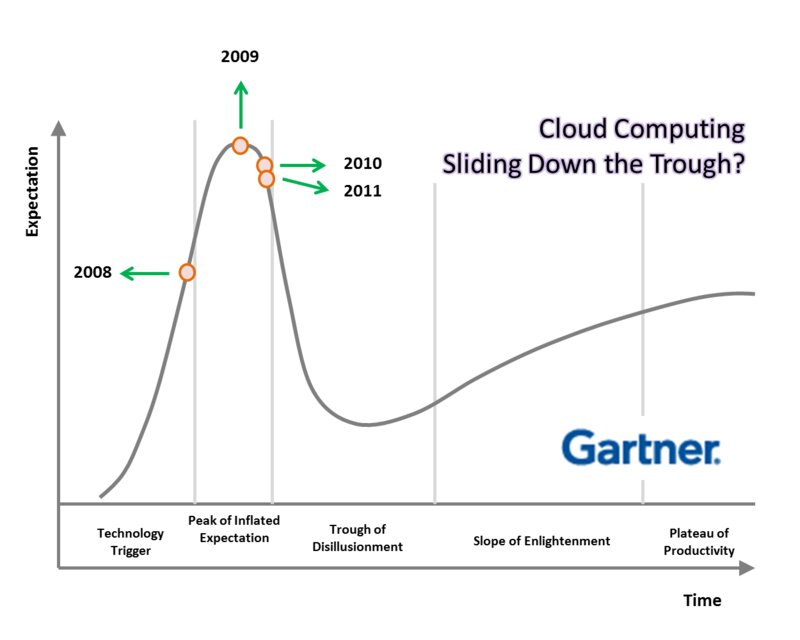 Recently Gartner has come up with a press release which talks about Five Cloud Computing Trends That Will Affect Cloud Strategy Through 2015. The release talks about 5 points – (1) Formal Decision Frameworks Facilitate Cloud Investment Optimization, (2) Hybrid Cloud Computing Is an Imperative, (3) Cloud Brokerage Will Facilitate Cloud Consumption, (4) Cloud-Centric Design Becomes a Necessity and (5) Cloud Computing Influences Future Data Center and Operational Models. How to evaluate and choose the right cloud solution? How to design applications which is optimized for the cloud? How to integrate public cloud applications with your in-premise and private cloud applications? How to integrate different cloud solutions? How to setup new infrastructures so that applications running on them can easily interoperate and move to public cloud, if required? Though Gartner claims that cloud computing has high potential to change the way we work, it is not clear how fast this change will happen. However, the biggest challenge for IT may not be the cloud technology per se but how business perceives it. Among the CIOs surveyed, 72 percent agreed or strongly agreed that their business executives see cloud as a way to be independent of IT. Approximately 58 percent of respondents are running mission-critical workloads in the unmanaged public cloud regardless of IT policy. The CIOs surveyed are concerned and 81 percent indicated that a comprehensive cloud strategy is a high priority for the next year. That is what Adam Selipsky of Amazon feels. He says it may not happen overnight, it may take 5, 10 or even 20 years, but it will happen over time. According to Amazon, clouds enable 7 transformation of how applications are designed, built and used. If cloud needs to be adopted then new architectural style has to follow. Tien Tzuo, former chief strategy officer of Salesforce.com and the founder of Zuora, claims that as an economy and a culture, we are rapidly moving away from owning tangible goods and, instead, gravitating towards becoming members of services that provide us with experiences – such as listening to a song, using a car, watching a movie or collaborating with our colleagues. Though it is theoretically possible to have an in-premise subscription model, it is much more natural and convenient to offer such a model in the cloud. Do you remember Amara’s law? I think it is very applicable to cloud computing. As I had stated in my analysis of cloud trend last year and this year, do not expect too much to happen in next one to two years. But 5 years down the line it may be a different story. Cloud is about multi-machine environment and about parallel programming. Cloud is about a movement away from typical relational data base. Cloud is about change in programming mindset.